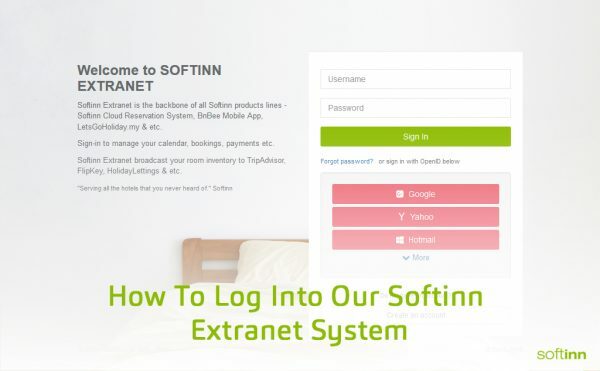 First, login to your e-mail account, check invitation email and click on activation link to activate your extranet account. If you did not received any invitation email please Contact Us. Once activated, you will be redirect to set password for your extranet account, chosen password must have at least 8 characters including at least a number, a lower case letter, and upper case letter. You are now able to login into Softinn Extranet either using your Username and Password or Google, Yahoo, Hotmail, Windows Live, LinkedIn. You may proceed to fill the form with all the details required and submit the application. You will receive feedback from us once your application completed by our back-end process team.